UTech, Ja. 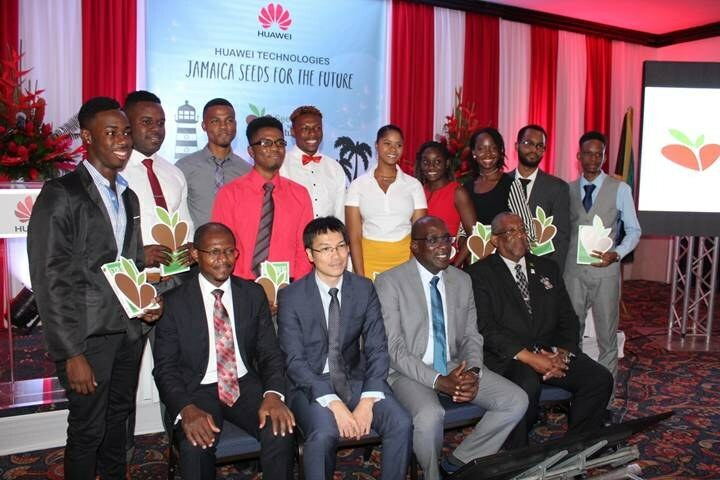 Students Awarded Huawei “Seeds for The Future” Scholarships to Visit China — UTech, Ja. The students are 3rd year School of Computing and Information Technology (SCIT) high achievers, Ms. Juleen Gentles (1st left), Mr. Taslan Graham (2nd left), Mr. Hushane Esson (3rd left) Ms. Kasjshae Quimwarrwye (right) and 4th year electrical engineering student Mr. Oswin Wilson. They join five students from the University of the West Indies, Mona who were also selected. 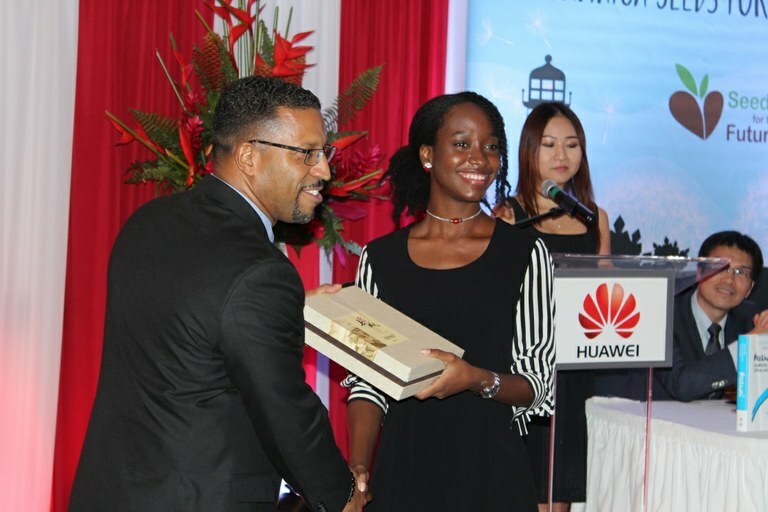 The Jamaican students will join other Caribbean university students from Trinidad and Tobago and Guyana to participate in Huawei’s flagship international corporate social responsibility programme (October – November 2018). Prof. Gyles also thanked Faculty of Engineering and Computing members of faculty led by Dr. Sean Thorpe, Head of the School of Computing and Information Technology for guiding and preparing the students for academic excellence. He urged the students to take their new roles as Jamaican ambassadors in China seriously. 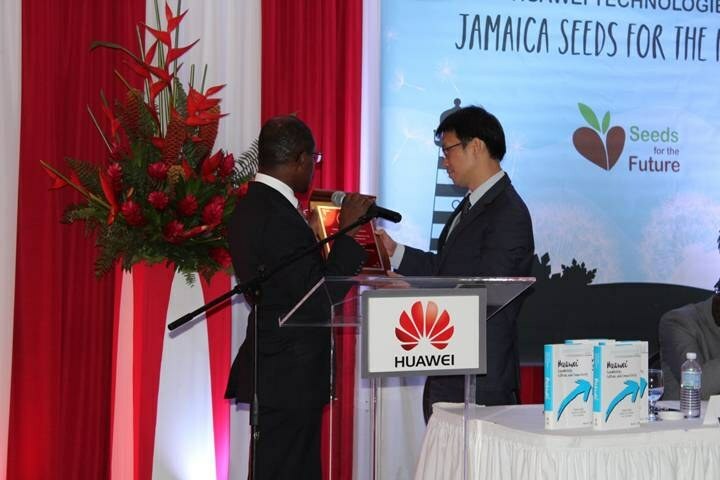 Ms Doris Ng Human Resources Manager, Huawei Jamaica, and Professor Dale Webber, Principal of the University of the West Indies, Mona also addressed the ceremony. 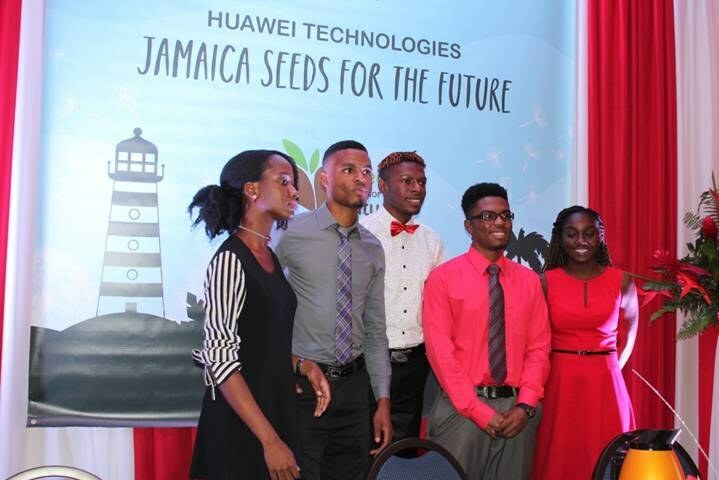 2017 Seeds for the Future awardees from UTech, Jamaica, Orande Harris (SCIT graduate) and Anthony Bryan from UWI, Mona shared their enjoyable memories and life-changing lessons learnt from their visit to China, and left parting words of wisdom for the “future seeds” as they prepared to depart for their own journey to China. 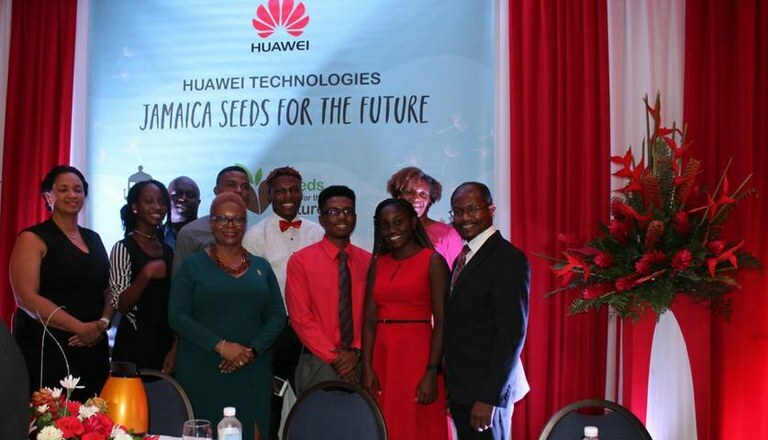 “Seeds for the Future” 2018 awardees from UTech, Jamaica and UWI, Mona show off their symbolic seeds. Joining the happy occasion (seated L-R) are Professor Colin Gyles, Deputy President, UTech, Jamaica, Mr. Allen Chen, Country Manager, Huawei Technologies Company Ltd., Senator the Hon. Ruel Reid, Minister of Education, Youth and Information and Professor Dale Webber, Principal, UWI, Mona. UTech, Jamaica “Seeds for the Future” 2018 awardees pose with members of faculty and administration. (Front row, L-R) are Dr. Claire Sutherland, Senior Director, International and Institutional Linkages, Oswin Wilson, Kasjshae Quimwarrwye, Professor Colin Gyles, Deputy President. (Back row, L-R) Professor Nilza Aples, Dean, Faculty of Engineering and Computing, Juleen Gentles, Dr. Sean Thorpe, Head, School of Computing and Information Technology, Taslan Graham, Hushane Esson and Dr. Therese Chambers, Head, School of Engineering.